Each of these bonuses comes with PLR rights so you can sell all 5 of these bonuses as your own and keep 100% of the profits. Each product includes the product source files, a sales video and done for you sales page. Create timed-video pages that work directly inside of WordPress, with just a couple of clicks. Create unlimited number of blogs or affiliate sites that leverage the same style and layout as the popular site Pinterest! Build professionally looking Optin & Squeeze pages and connect your page with any auto-responder service. Easy to use tools that allow you to create instant mobile sites for you or your clients. 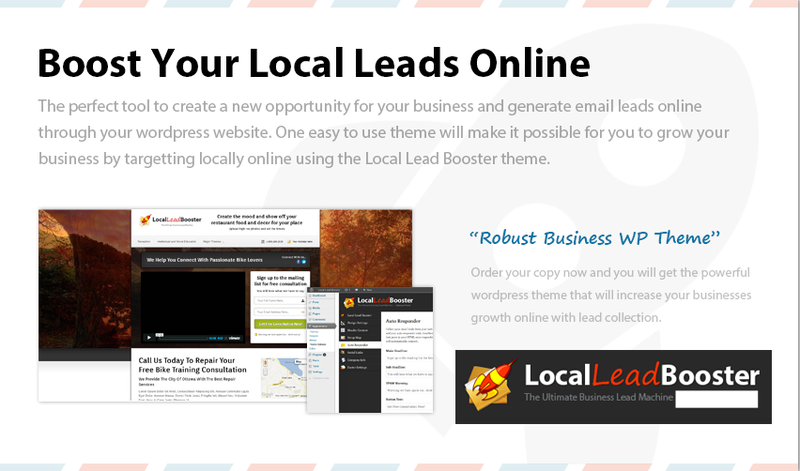 The perfect plugin to help generate massive amounts of new opportunities and leads for your local business.